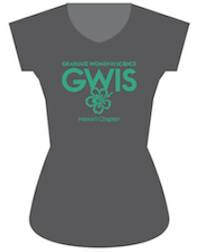 We encourage you to have a look at the information below to learn about how to join GWIS Hawaii Chapter, membership requirements, definitions of membership levels, and benefits to membership. We also encourage you to download our local chapter bylaws. Whether you are a new member or a renewing member, you may do so online at the National website. After you join, one of our officers will contact you with our local chapter details! If you hold a baccalaureate or higher degree from an accredited institution, or equivalent degree from a foreign institution, and if you are or have been engaged in post-baccalaureate research, or are registered for research, in one of the mathematical, physical or biological sciences, or any discipline in which the scientific method is used, you are invited to join. Many of our members hold masters and doctoral degrees. Graduate students and postdoctoral fellows, in particular, can benefit from the advice and networking that GWIS can offer during this formative stage of their career. Reduced fees for Postdoctoral Associates and Regular Members facing financial uncertainty. Members who are registered for an advanced degree (Masters or PhD). 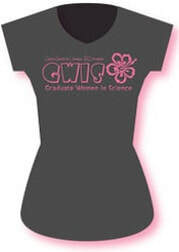 Affiliates are individuals who support the GWIS organization but do not hold a baccalaureate or higher degree. This includes undergraduate students who are studying in a STEM field, and anyone who supports the mission of the organization. This is a non-voting membership. Regular members who have elected to pay life membership dues. Iota Nu (International) and dual memberships cost $15 plus the appropriate National dues or local chapter dues for dual members. Participate in Chapter activities of your choice. These may include: events with scientific speakers, science fairs, K-12 outreach, etc.